The Museum offers free unlimited admission to all public high school students. To receive free admission, students must show a current student ID at the admission desk. The free high school admission program also includes admission for one guest. 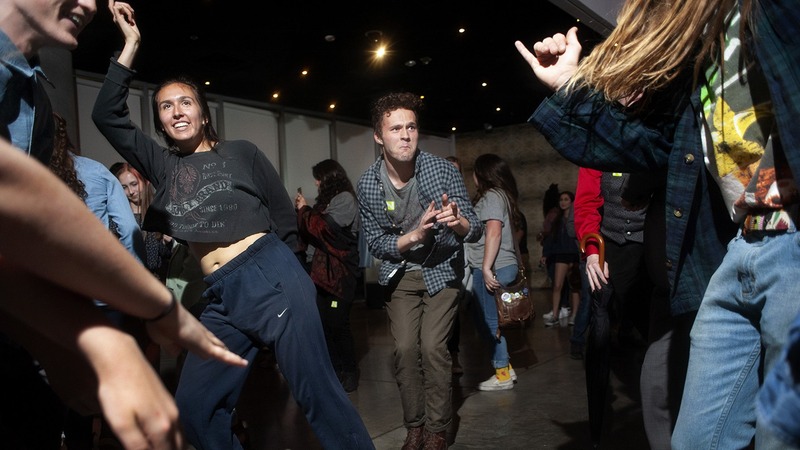 Hosted by the Museum each spring, Teen Art Night engages young people in an annual “teen-takeover.” Hands-on art stations, youth DJs and Snap-chat connect the evening to a broader digital audience outside the Museum’s walls. This annual summer event, held in partnership with the Holland Project and the Reno Bike Project, is the area’s only “roaming art gallery” featuring a multi-stop bike tour around the city to experience interactive exhibitions and participate in hands-on art-making projects. Presented by the Museum and the Holland Project, Teen Open Studio introduces art education and a series of art practices to a cohort of twenty-nine high school students from the region. Students attend weekly workshops based on art and design processes that engage them through artistic education and collaboration. Each student creates an original art piece that will be featured in an exhibition hosted by the Holland Project Gallery. For young people wishing to develop their skills in the fine arts and produce portfolio-quality work, the E.L. Cord Museum School presents “Art High,” a series of weekend courses and week-long intensives designed to encourage teens to explore a variety of media to supplement their high school art courses and guiding them towards the production of college-level portfolios. Northern Nevada middle and high school students are invited to submit their artwork to the Scholastic Art Awards competition. The Museum’s annual presentation of the Scholastic Art Awards is scheduled in conjunction with the Scholastic Art and Writing Awards, a national program designed to identify America’s most gifted young artists and writers. This program has honored some of our nation’s most celebrated artists including Truman Capote, Sylvia Plath, Michael Sarich, Cindy Sherman, Robert Redford and Andy Warhol.